Is there a charge for in-home estimates? No, we never charge for estimates. Yes. 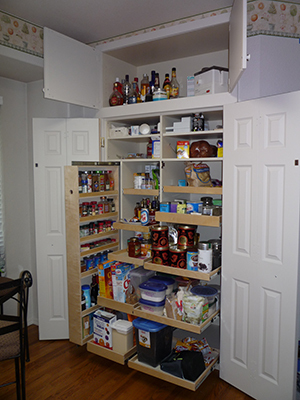 However, until we actually come out and measure everything, we consider it a soft, non-binding estimate. How can I schedule an in-home estimate? There are two options. 1) Call us at 719-302-3730 and schedule one over the phone, or 2) fill out the Request for Consultation form (here) and we’ll contact you at the time of your choice. Are weekend or evening appointments available? Yes. We try and accommodate our customers’ schedules for both estimates and installations. Not at present, although we are looking for a new processor. Do I need to give a deposit before my order is processed? In most cases, no. However, for some large projects we may require a deposit to cover the cost of materials. No. We try to offer the best possible pricing to all of our customers. Sadly, no. Full payment is expected at time of installation. 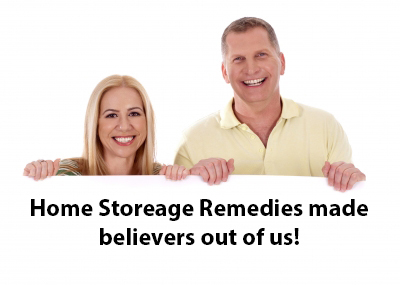 Home Storage Remedies was established in Colorado Springs in 2006, though the owner has been making and installing organization products since 1999. Yes. We’re a fully accredited business with the BBB and hold an “A” rating. 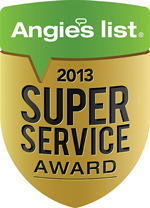 Are you listed with Angie's List? How long does it take to fabricate my order? Typically we can schedule the installation for new orders in the 5-7 day range. Larger projects may take as many as 2 weeks, but then again, we’ve been known to build and install an entire order on the same day. That depends on the product, though we can give you a fairly good idea when we provide you with the estimate.